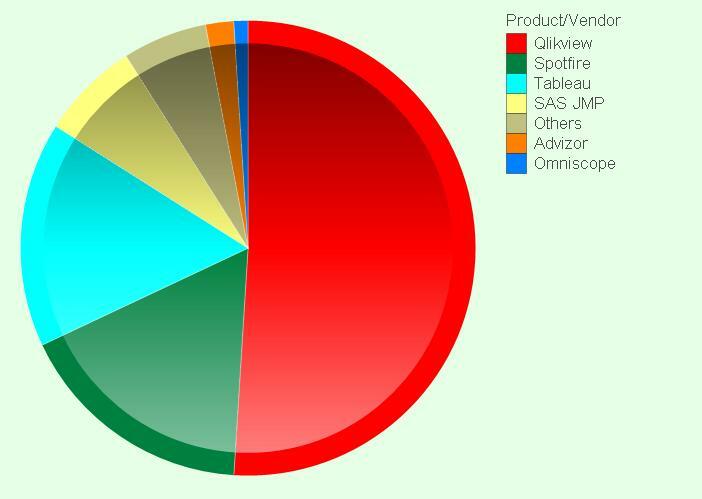 like Microsoft PowerPivot (indirectly), MicroStrategy’s Visual Insight and IBM’s DV tools like Active Reports (of Cognos 10) and new Cognos TM1-based Visualization functionality. $10.1 billion in 2010 and grow to approximately $14.1 billion by 2014. 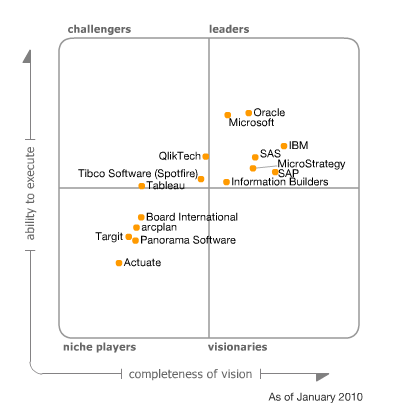 According to Gartner (published approx. 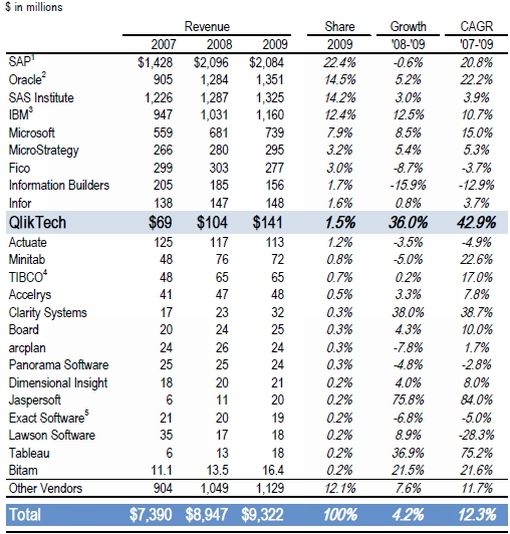 4/22/11), global spending on BI (business intelligence), analytics and performance management applications jumped 13.4 percent in 2010 to US$10.5 billion, more then original prediction was.